Named after an old English drink of warm ale, gin, wormwood and spices, Purl London occupies a vaulted cellar in Marylebone. Opened in 2010, the bar was one of the first to join a new wave of prohibition-era speakeasy bars, having since become renowned for an innovative approach to cocktails, often using culinary techniques. 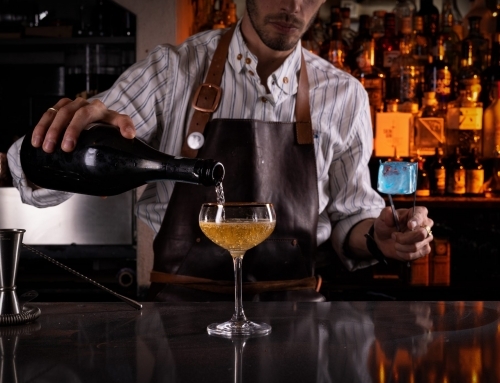 A venture from the team behind Worship Street Whistling Shop and Dach & Sons, Purl’s cocktail menu changes regularly, adhering to current trends while championing seasonal produce, with many of the drinks vaunting a multi-sensory experience. 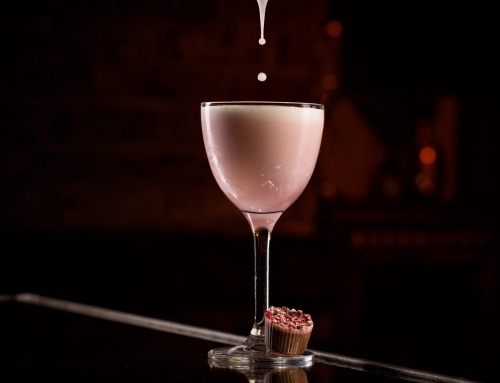 Various fogs, airs, foams and foods are utilised to dramatise each of the bar’s innovative drinks. 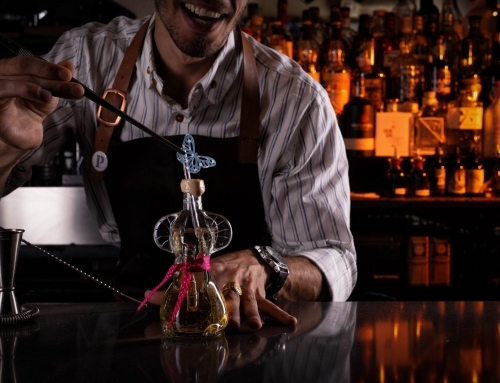 Like many exciting London bars, a focus on reducing waste is also prominent, with excess fruits, herbs and shrubs used to make homemade syrups, cordials and sherbet infusions. And, like whiskey in 1920s America, plastic straws are strictly outlawed. Set underground, the space is cosy, moodily lit and bedecked with tawny leather chesterfield sofas, exposed brickwork, dark wood panelling and a main bar alongside various secluded nooks set with tables. For groups of two or less, though, the bar is the place to sit. On an early evening visit during the week, Purl was almost empty, yet unusually atmospheric. A signature drink from the bar menu, ‘Mr Hyde’ features a concoction of Diplomatico golden rum, homemade falernum, Demerara sugar syrup; stirred with grapefruit and orange peel then poured into a decanter. The liquid is then beleaguered with Calvados woodsmoke before being corked and served in an ice bucket awash with dry ice. With a split personality, the drink is poured in two stages. The initial serve is rich and complex, like a rum old fashioned, while the second is recommended after five minutes of infusing with the smoke, lending a deep roundness to the drink. ‘1806’, on the other hand, champions world-famous Niederegger marzipan – served in photogenic, hanging vase glass and garnished with a nugget of chocolate-coated marzipan from the Lübeck-based confectioners. Here, a base of Niederegger liqueur is mixed with Bimber oak-aged vodka, more of that homemade falernum, and blue curacao which lends a citrus edge to the cocktail – alongside a citrus-forward summer cordial – without detracting from the main, omnipresent flavour. 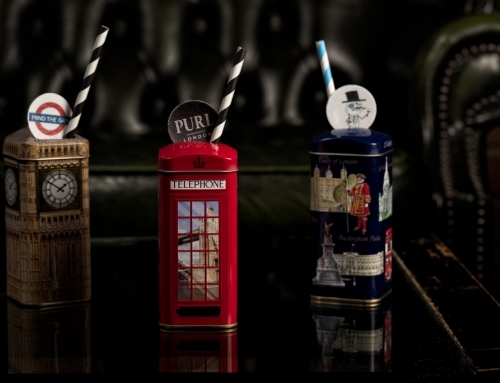 Conceptual with helpful, knowledgeable bar staff – Purl has aged well, remaining an exciting central London speakeasy. Add all ingredients together then shake. Mix 250ml lemon juice with 250ml grapefruit juice, 250ml orange juice and 450g caster sugar. Cook in a slow heater for fifteen minutes and allow to cool before use. Purl London can be found at 50-54 Blandford Street, London, W1U 7HX. Click here to see original article as found in The London Economic, October 2018. Kumquat, what? 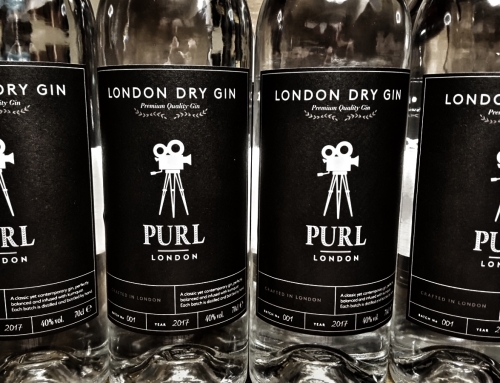 Purl Gin is here!